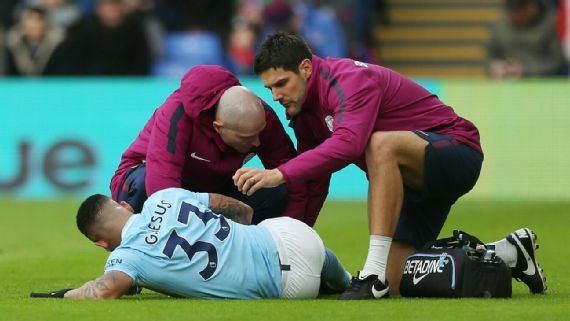 Manchester City have confirmed that Gabriel Jesus has suffered a medial collateral ligament damage and will undergo further tests, to determine the extent of the injury. The Brazilian striker twisted his left knee in the 0-0 draw with Crystal Palace on Sunday and left the pitch in tears. “He will undergo further examinations in the coming days to establish the extent of his lay-off. We wish Gabriel a speedy recovery,” a club statement read. Gabriel himself also wrote on Instagram, that the injury is “not very bad” and will not require surgery. “Today I went through an image exam on my left knee that diagnosed a small medial collateral ligament injury! Thank God it is not very bad and I won’t have to go through any surgery procedure.